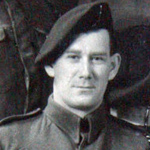 Driver Theodor Bondy was awarded the BEM (Military Divison) in 1943 in recognition of gallant and distinguished services in the Middle East. 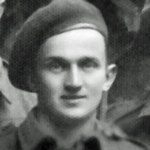 Edward 'Tiny' Burke enlisted into the 1st Bn Liverpool Scots TA (QOCH ) and volunteered for the Independent Companies. 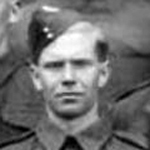 He was posted to No 4 Independent Company on the 23rd April 1940 and took part in the landings at Bodo Norway as part of Scissor Force. In February 1941 he joined the newly raised No 2 Commando and served as a Sergeant in 5 troop until it was disbanded at the end of the war. 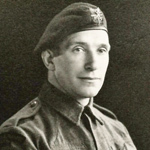 Corporal Evelyn Cant served in 4 troop of No.2 Commando. He attended Achnacarry as part of one of the Police Intakes being a member of Essex Police Force. 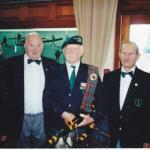 There is a more about him in the No.2 Commando history section - The Men. 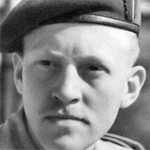 His last known rank in the Commando was Corporal. He was posted to OCTU and commissioned as 2/Lt. on the 7th April 1945 . It is not known if he was still with the Commando at this point. Awarded BEM (Civil Division) in HM the Queen's birthday honours June 1969 . 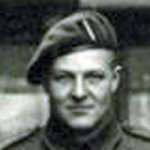 Victor Cobley served in the Heavy Weapons Troop of No 2 Commando. See this image : HWT Gibraltar 1943. 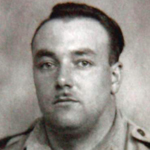 Lance Sergeant James Dix served in 4 Troop. He stayed on in the Army after the war. 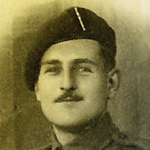 On 9 June 1949 he was a Sergeant in the Beds and Herts., and was awarded the B.E.M. (Military Division) in H.M. Birthday Honours list. The death of L/Sgt (later CQMS) James Dix, B.E.M., of the Royal Hospital Chelsea, London, was announced in Commando Association newsletter 115. London Gazettes Supp. 38628, page 2819. 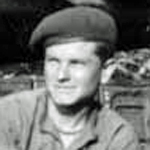 Private Peter Fussell served in No 4 Commando, 'F' troop, and took part in operations at Dieppe on 19 August 1942. Later that year he moved to 1 Special Service Brigade HQ (Clerks)  and . Post war he was commissioned and retired as a Major in the R.A.O.C. His award of the B.E.M., was for his service as a Staff Sergeant during the period 23 February 1949 to February 1951. He was the confidential short hand writer to Field Marshall Sir William Slim. 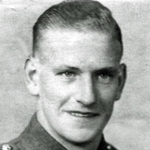 Lance Sergeant Arnold Howarth was one of the five Commandos who escaped after landing at St Nazaire on the raid. 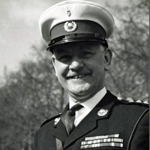 Colour Sergeant Alan Jones was awarded the B.E.M. (Military Division), on the 12th June 1976 . He was later awarded a Bar to the British Empire Medal (Military Division) in recognition of meritorious service in Northern Ireland during the period 1st November 1976 - 31st January 1977 . London Gazette Supp. 46919, page 8037. London Gazette Supp. 47258, page 8411. 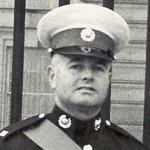 Marine Brian Thornton was awarded the British Empire Medal (Military Division) for distinguished service in operations in Cyprus during the period 1st July to 31st December, 1957. London Gazettes Supp. 41305, page 850. National Archives file WO 373/126/87.